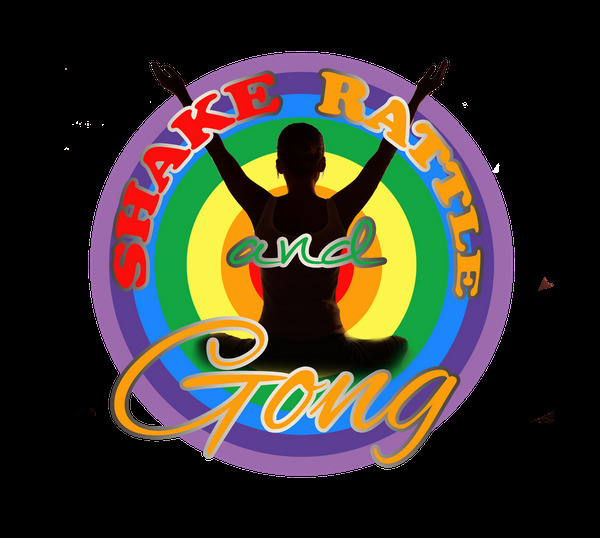 Shake Rattle and Gong ™ – a new unique active experiential meditation by London Gong. The “Shake Rattle and Gong ™” meditation can help you release stress, blockages and what no longer serves you. A perfect cleanse, de-stress and renewal allowing a space to invite in what does serve you. A Gong Meditation with a Shamanic influence. A process allowing you to let go, push past the boundaries and to truly be you. Shake, laugh, let go in this high energy release. This is highly powerful and unique with rattles, gong and drum! and optional blind fold. You do not need to be fit although there will be some movement , which can be as much or as little as you are comfortable with. We wind down with a gong bath allowing a space to relax and observe the refreshed you whilst bathing in the healing vibrations of Gong and other Instruments. Although I have a structure for this meditation, I work in an intuitive way and every session may be a little different! Who is this mediation for ? This meditation is for anyone wishing to free their mind, body and soul and experience a feeling of Letting go and FREEDOM. Anyone suffering from Stress, it is the perfect outlet to release stress, a fantastic Stressbuster. Feeling Stuck, lost the Flow. Any Age, Any Size, any Fitness Level. Although this meditation involves movement, that can be as energetic or as gentle as you wish or as your body wishes. We practice kindness to ourselves. Ideally be able to stand up for around 10 minutes. If this is a problem for you, let me know and we can chat about how you can join in and benefit. Dates and Venue to be announced Soon!!! Michelle – An amazing experience. Was quite stressed before and came out feeling completely relaxed and lighter. Odette has a very gentle manner about her and provided a very safe and enjoyable space. Had tingly feelings and a sense of calm for days afterwards. A good all round mind, body and soul workout. I fully recommend this experience to everyone. Odette Kurland is a Gong Master, Energy and Sound Healer and Laughter Yogi!!! Most recently she has completed Shamanic Advance Pathways training.